Here is the list of the hotels near Bouilhonnac. Book your hotel near Bouilhonnac today, Wednesday 15 May for the best price, reservation and cancellation free of charge thanks to our partner Booking.com, leader in on-line hotels reservation. Below here is the list the 50 closest hotels of Bouilhonnac, sortable according your criteria. You will find the position of these accommodations on the Bouilhonnac hotels map. Featuring barbecue facilities, Manor House Domaine des Pins features accommodation in Bouilhonnac with free WiFi and garden views. Guests staying at this holiday home have access to a fully equipped kitchen. The holiday home has a TV. Carcassonne is 11 km from the holiday home. Carcassonne Airport is 14 km away. Located in Trèbes, Villa Canal du Midi provides accommodation with a private pool. The villa is in an area where guests can engage in activities such as horse riding and tennis. The villa comes with a TV and 4 bedrooms. The kitchen features a dishwasher. The villa offers a barbecue. A terrace is available for guests at Villa Canal du Midi to use. Carcassonne is 10 km from the accommodation. The nearest airport is Carcassonne Airport, 14 km from the property. Situated in Villedubert in the Languedoc-Roussillon region, Canal Du Midi has a terrace. Guests staying at this boat have access to a fully equipped kitchen. This boat will provide guests with 3 bedrooms, a TV and air conditioning. Guests can relax in the garden at the property. Carcassonne is 9 km from the boat, while Castelnaudary is 49 km from the property. The nearest airport is Carcassonne Airport, 11 km from Boat Canal Du Midi. Offering an outdoor pool, Les cabanes dans les bois is located in Villalier, just 8 km from Carcassone and a 15-minute drive from the Cité de Carcassonne. Free WiFi access is provided in public areas. Each cabin offers a terrace, a flat-screen TV and a safety deposit box. Featuring a shower, the private bathroom also comes with a hairdryer and free toiletries. You can enjoy garden views from the room. Breakfasts and dinners can be served in baskets directly to your cabin. At Les cabanes dans les bois you will find a garden and a bar. Other facilities offered at the property include a shared lounge and luggage storage. An array of activities can be enjoyed on site or in the surroundings, including cycling. The Canal de midi is a 10-minute walk away. Carcassonne Airport is 12 km away. The property offers free parking. With lake views, Riverside Home Cottage is located in Trèbes and has free WiFi. Some units are air conditioned and include a terrace and/or a seating area with a flat-screen TV. A continental breakfast can be enjoyed at the property. Carcassonne is 8 km from the bed and breakfast. Carcassonne Airport is 14 km from the property. Located in Rustiques, l'Ecrit Vin features a private pool and free WiFi. This property offers access to a patio. The holiday home features 3 bedrooms, a flat-screen TV and a fully equipped kitchen that provides guests with a dishwasher and an oven. The holiday home offers an outdoor pool. A barbecue is available for guests to use at l'Ecrit Vin. Carcassonne is 11 km from the accommodation. Carcassonne Airport is 17 km from the property. Holiday home Residence la Chapelle is set in Rustiques. 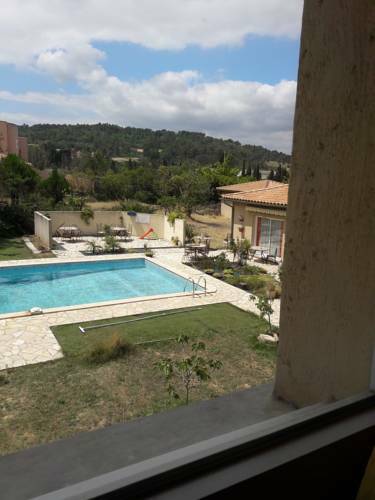 The property features pool views and is 11 km from Carcassonne. This air-conditioned holiday home has 3 bedrooms, a TV, and a kitchen with a dishwasher and an oven. The holiday home offers an outdoor pool. Holiday home Residence la Chapelle provides a barbecue. Limoux is 37 km from the accommodation. Carcassonne Airport is 17 km from the property. Located 5 km from Carcassonne Medieval City, Le Floréal is air-conditioned and features a restaurant with a spacious terrace where guests can enjoy their meals. Free WiFi is provided throughout. Every room is equipped with a flat-screen TV and a desk. The bathrooms come with free toiletries. Le Floréal is 500 metres from the A61 Motorway. Free private parking is provided on site. Castres is 70 km from the hotel, while Narbonne is 55 km away. Perpignan Rivesaltes Airport is 107 km from the property. Located in Trèbes just 5 minutes' drive from Carcassonne, Le Clos Marie is a holiday home with a garden. The property boasts views of the garden and is 7 km from Carcassonne's Medieval Town and within 5 km from Corbieres and Minervois' vineyards. Free WiFi is provided . There is a seating area and a kitchen complete with a dishwasher and an oven. Towels and bed linen are featured at Le Clos Marie. The holiday home offers free private parking on-site Cathares Castle is 10 km away. Narbonne is 58 km from Le Clos Marie, while Castres is 68 km from the property. The nearest airport is Carcassonne Airport, 10 km from the property. Hotel Trèbes Preferred hotel ! This Logis hotel is located 5 km from the walled city of Carcassonne and Canal du Midi, both of which are UNESCO World Heritage Sites. It offers free Wi-Fi and free parking. Hotel La Gentilhommiere’s rooms are air-conditioned and equipped with a telephone, TV and private bathroom. La Gentilhommiere serves regional cuisine that guests can enjoy in the dining room or on the terrace. Additional facilities include a swimming pool, garden and meeting room. Hotel Carcassonne Preferred hotel ! La Bastide Saint Martin is set 5 km from the centre and the fortified city of Carcassonne and the Canal du Midi and offers free WiFi access and air-conditioned rooms. Guests are free to relax by the seasonal heated outdoor pool or in the surrounding garden. Views of the garden or swimming pool are offered in all guest rooms at La Bastide Saint Martin. Each en suite room is air-conditioned and features a flat-screen TV, and some rooms provide direct access to the swimming pool. Breakfast is served at the property every morning. Regional specialities prepared with local products are available at an independent restaurant located in the same park as the hotel. Free secure parking is available on site and the Carcassonne Train Station is 3 km away. The hotel is 3 km from the Fresquel Aqueduct and 33 km from the city of Limoux. This hotel is just 3 km drive from the medieval city of Carcassone. It offers a free secure car park, and low-cost rooms with free Wi-Fi access and flat-screen TVs. The guest rooms at the Hôtel F1 Carcassonne are equipped with satellite channels and have shared bathrooms. Guests of the Hôtel F1 Carcassonne can enjoy a continental breakfast every morning, in the dining room or on the garden terrace. The hotel staff are available to assist 24 hours a day. The F1 hotel is easily accessible by the A61 motorway, which is 300 metres away. Guests can visit the nearby Cathar Castles. Set on a 113-hectare site of vineyards and olive groves, this 19th-century château offers an outdoor swimming pool and a tennis court. Trèbes and the Canal du Midi are both a 5-minute drive away. With a private entrance, the cottages offer a terrace and a view of the swimming pool. Free WiFi access is available, and the kitchens include a stove, fridge and dishwasher. You can enjoy testing the award-winning wines from the wine cellar at Château Canet. BBQ facilities are also provided. The property also has a boules area and children can play on the swings in the garden. Communal laundry facilities are available. The city of Carcassonne is 15 km away and free public parking is possible nearby. Guest accommodation Berriac Preferred hotel ! Cathares Holidays is located a 5-minute drive from the medieval city of Carcassonne. It offers accommodation set in a garden with outdoor furniture and barbecue facilities. Each accommodation is air-conditioned and offers a seating area with a flat-screen TV. There is a dining area and a fully equipped kitchen with kitchenware and a refrigerator. Bicycling can be enjoyed in the surroundings and free bicycles are available on site. A golf course can be found 6 km away. The property offers free parking. Cathares Holidays is a 15-minute drive from Carcassonne Airport and a 10-minute drive from the city’s train station. Featuring garden views, Charme des vieilles pierres & jardin is set in Carcassonne, around 5 km from Pont Rouge Commercial Zone. The holiday home is 5 km from Carcassonne Cathedral. The holiday home is fitted with 1 bedroom, a flat-screen TV with satellite channels and a fully equipped kitchen that provides guests with a dishwasher. Cavayere Lake is 6 km from Charme des vieilles pierres & jardin, while Perpignan IUT University - Carcassonne Campus is 7 km away. Carcassonne Airport is 11 km from the property. Located just 10 minutes from the Medieval City of Carcassonne, Le Castel Enchanté is surrounded by gardens and has an outdoor swimming pool with sunbeds, and free Wi-Fi access. The 2 en suite rooms at Le Castel Enchanté have private terraces with unrestricted views of the Corbières. Individual heating and a wardrobe are also provided, and the private bathrooms are complete with free toiletries. A homemade buffet breakfast is available, and you can also choose to share meals with other guests and enjoy international cuisine. All meals are prepared with fresh seasonal produce. With Carcassonne Train Station and Airport 12 km away from the property, Le Castel Enchanté is just a 35-minute drive from the Mediterranean Sea. Free private parking is possible on site. Millepetit Cottage by the Canal du Midi is a self-catering accommodation located 5 km from the centre of Trèbes, on a working farm. Free WiFi access is available. This 2-story holiday home will provide you with satellite TV and French local channels. There is a fully equipped kitchen with a microwave, a refrigerator, a stovetop and an oven. The bathroom has a large shower. There is private terrace with BBQ facilities, accessible via the upstairs lounge. Several public furnished terraces are available beside the Canal du Midi, 50 metres away. Activities in the surrounding area include cycling, wine tasting, walking, horse riding and fishing. Carcassonne Airport is located 12 km away. Brit Hôtel Bosquet Carcassonne, renovated in 2014, is 1.5 km from the medieval city of Carcassonne, a UNESCO World Heritage site. Free WiFi is provided. Only accessed by stairs, the air-conditioned guestrooms feature satellite TV with Canal + channel, a bathroom with a hairdryer and a telephone. A buffet breakfast is served each morning at the hotel. Restaurants can be found less than 500 metres away. In the surroundings, you can discover the Canal du Midi located 3.5 km from the property and La Cavayère's Lake, a 10-minute drive away. Carcassonne Train Station is 5 km away. La Petite Conquete in Carcassonne offers accommodation with free WiFi, 3.4 km from Carcassonne Cathedral. The property is 5 km from Pont Rouge Commercial Zone. The bed and breakfast is equipped with a flat-screen TV. A continental breakfast is available every morning at the property. The bed and breakfast offers a terrace. Guests can relax in the garden at the property. Perpignan IUT University - Carcassonne Campus is 6 km from La Petite Conquete, while Cavayere Lake is 8 km away. Carcassonne Airport is 7 km from the property. Ibis budget Carcassonne La Cité is located in Carcassonne, a 15-minute walk from the medieval city and 2 km from the city centre. It features modern, functional decor and free WiFi. All the rooms are fully equipped with en suite facilities and satellite TV. A continental breakfast buffet is available. Carcassonne offers an array of restaurants, bars and grocery shops. Carcassonne Airport is just a 15-minute drive from the hotel and the train station is only 10 minutes away. Free private parking is available onsite. Set in an early 19th-century country house, this B&B offers a seasonal swimming pool in the garden. Mediterranean cuisine is served for dinner and Carcassonne Train Station is located 8.5 km away. Offering a garden view, the contemporary rooms include a Nespresso coffee machine and free Wi-Fi. Each room’s decoration is inspired by the host’s travels, and an LCD TV with 150 films is provided. Guests can also request a massage in the privacy of their room. Breakfast is prepared every morning at the Métairie Montplaisir and the bar is open upon request. The American kitchen in the loft includes an oven, stove and a fridge. Cooking workshops and Languedoc wine tastings are frequently organised. Carcassonne Golf Club is 17 km from this bed and breakfast, and discounted prices are available for guests. Haut-Languedoc Regional Park is 30 km away and private parking is free on site. Located 3.7 km from Carcassonne Cathedral, Agréable Duplex is in Carcassonne and has barbecue facilities and a terrace. The property was built in 2014, and features air-conditioned accommodation with free WiFi. The holiday home is composed of a living room with dining area, a fully equipped kitchen and 1 bathroom. A flat-screen TV with satellite channels is offered. Pont Rouge Commercial Zone is 4.2 km from the holiday home, while Perpignan IUT University - Carcassonne Campus is 6 km from the property. Carcassonne Airport is 6 km away. Set in Villemoustaussou in the Languedoc-Roussillon region, BENNES' HOUSE has a garden. It features mountain views and free WiFi. Carcassonne is 8 km from the homestay, while Castelnaudary is 48 km away. The nearest airport is Carcassonne Airport, 11 km from the property. Offering a seasonal outdoor pool, barbecue and sun terrace, Le Relais De La Cavayere is located in Carcassonne in the Languedoc-Roussillon Region. It is a 5-minute drive from the medieval city of Carcassonne and 3 km from La Cavayère Lake. Free WiFi is available in public areas. The double rooms have a flat-screen TV and a private bathroom with a shower. There is a shared kitchen at the property. You can play table tennis at the bed and breakfast. Carcassonne Airport is 13 km from the property. Free private parking is available on site. Situated in Carcassonne, Holiday home Beauregard 1 offers accommodation with a private pool. Complimentary WiFi is available. This villa has 3 bedrooms, a TV, and a kitchen. The villa offers an outdoor pool. Guests can relax in the garden at the property. Pont Rouge Commercial Zone is 2.4 km from Beauregard Carcassonne. The nearest airport is Carcassonne Airport, 7 km from the accommodation. 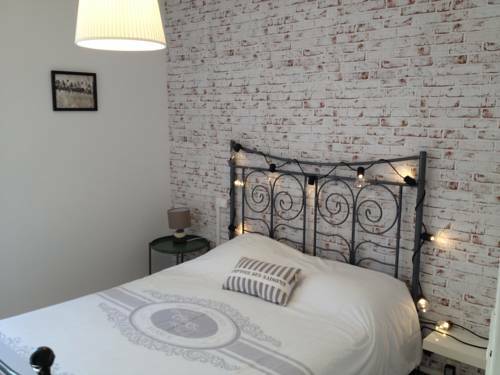 Set in Carcassonne, 2.6 km from Carcassonne Cathedral, LE 139 provides accommodation with free WiFi. Each unit is fitted with air conditioning, a private bathroom and a kitchen. A fridge and stovetop are also available, as well as a coffee machine. A continental breakfast can be enjoyed at the property. Guests can also relax in the garden. Pont Rouge Commercial Zone is 5 km from the apartment. Carcassonne Airport is 6 km from the property. ibis Styles Carcassonne La Cité is located just 600 metres from the medieval town of Carcassone. It features a restaurant, an outdoor swimming pool, a fitness room and free private parking. Free WiFi is included. The rooms and studios at ibis Styles Carcassonne La Cité are all air-conditioned and equipped with a TV and a private bathroom with a shower or a bath. They are all accessible by lift and some are adapted for disabled guests. A daily breakfast is served in the dining room, which offers views of the swimming pool and the city's roof tops. Tea and coffee can be enjoyed anytime during the day in the hotel hall. ibis Styles Carcassonne La Cité is a 15-minute walk from the Basilica of Saint-Nazaire and Saint Celse. Carcassonne Train Station is 2.5 km away. Guest accommodation Carcassonne Preferred hotel ! Featuring free WiFi throughout the property, Les Orchidées offers pet-friendly homestay accommodation in Carcassonne. Free private parking is available on site. You will find a coffee machine and a kettle in the room. Every room comes with a shared bathroom with a bath or shower and bidet, with free toiletries provided. A flat-screen TV is provided. An infrared massage device can be rented at an extra charge. Pont Rouge Industrial Zone is 1.2 km from Les Orchidées, while Tribunal d'Instance - Magistrates Court is 1.5 km away. Carcassonne Airport is 5 km from the property. Featuring garden views, Villa dans les bois aux portes de la Cité is set in Carcassonne, around 3 km from Cavayere Lake. Guests have access to free WiFi. The villa is composed of a living room, a fully equipped kitchen, and 3 bathrooms. The villa offers a terrace. Hiking is possible within the area and a water park is at guests' disposal on site. Pont Rouge Commercial Zone is 9 km from Villa dans les bois, while Carcassonne Cathedral is 9 km away. The nearest airport is Carcassonne Airport, 14 km from the property. Featuring garden views, La maison du Lac features accommodation with a terrace and a kettle, around 2.8 km from Cavayere Lake. Located 8 km from Pont Rouge Commercial Zone, the property provides a garden. The bed and breakfast features a flat-screen TV. Fishing can be enjoyed nearby. Carcassonne Cathedral is 8 km from the bed and breakfast. The nearest airport is Carcassonne Airport, 14 km from La maison du Lac. Offering a terrace and views of the mountains, 514 Appart Hotel is situated in Carcassonne in the Languedoc-Roussillon Region. Carcassonne's medieval city is 300 metres from the property. Free private parking is available on site. The pet-friendly accommodation is air conditioned and has a flat-screen TV. Some units include a dining area and/or terrace. There is also a kitchen, fitted with an oven and microwave. A refrigerator and stovetop are also featured, as well as a coffee machine. Every unit features a private bathroom with a shower and free toiletries. Towels and bed linen are provided. Grain d’Sel Media Library is 1.6 km from 514 Appart Hotel, while Carcassonne Town Hall is 1.7 km away. Carcassonne Airport is 10 km from the property. Set in Carcassonne in the Languedoc-Roussillon Region, this detached villa features a terrace and a garden. The property features views of the pool and is 1.2 km from Pont Rouge Industrial Zone. Free private parking is available on site. The kitchen is fitted with a dishwasher and an oven, as well as a coffee machine. A flat-screen TV is provided. There are 2 private bathrooms. Tribunal d'Instance - Magistrates Court is 1.5 km from Villa Grazailles, while Grain d’Sel Media Library is 1.5 km from the property. The nearest airport is Carcassonne Airport, 5 km from the property. LOFT SPA - Côté château. Apartment Carcassonne Preferred hotel ! Below here is the hotels map of Bouilhonnac. Names and details of Bouilhonnac hotels can be shown on the map clicking on the prices icons.